Sadly, the long-held reputation among astronomers and historians concerning Parramatta Observatory remains commonly perceived as an example of spectacular failure. Here the highly labour intensive works promised a new accurate positional southern sky star catalogue. Yet, after a short period of great acclaim, the final publication proved almost unusable. These many negative views have still remained to the present day and seem quite justified. My own historical version here is just a slow continuing progression, which I have been adding new relevant information as it comes to hand. Several other articles on Parramatta Observatory have appeared over the years. Some are certainly more complete, in either factual detail or research, and some are presently available on the Web. A few do discuss the implications and particular difficulties of the New South Wales astronomical observational program made during the early 19th Century. So why should I want to write about this old observatory? My own interest in Parramatta Observatory started at an early age. This was mainly assisted by frequent visits to Sydney Observatory in the late 1960s. At this then fully functioning establishment, much of the old astronomical equipment once used at Parramatta Observatory was on general display throughout the rooms and corridors. Much of it seemed quite dilapidated or in an uncared state, but it did leave a real sense of history. This made me want to investigate further. My other new interest during this time was regarding the first discoveries of southern double stars, undertaken by both James Dunlop (1793-1848) and Charles Rümker (1788-1862) during the 1820s. Much of my inspiration came from the classic two-volume book “Celestial Objects for Common Telescopes” from the late-19th Century (Updated in the Dover Edition published in 1961.) It was also one of the first observational books, I ever owned. Although almost entirely written for the northern hemisphere, the many useful appendices at the back of the book covered the remaining southern skies. Much of the given details are several non-descriptive tables covering either double stars, stars with remarkable spectra, variable stars and deep-sky objects. This selection contains many of the most interesting southern telescopic objects, and was created by R.T.A Innes during the mid-1920s. My earliest small aperture observations of these easily seen double stars and deep-sky objects inspired my own affinity for early Australian astronomical history that continues today. Many years later, these experiences have found me again very interested in the whole history of Parramatta Observatory and observations made there. Over time, all these pages will be further expanded, but in the meantime, I hope you find this article either useful or at the very least informative. After the establishment of the Dawes Observatory in Sydney, some thirty-three years were to pass before astronomical observations and a new observatory was established. This new Observatory immediately began when the nominated Governor for New South Wales, Sir Thomas Macdougall Brisbane (1773-1860) arrived in Sydney in November 1821 together with his two hired astronomical assistants Charles Rümker (1788-1862) and James Dunlop (1793-1848). Thomas Makdougall Brisbane was born on 23rd July 1773 in Ayrshire, Scotland. He was educated at the University of Edinburgh and then attended the English Academy at Kensington. His military career was both long and distinguished, rising through the ranks to become Brigadier-General in 1812, and fighting in the Battle of Waterloo in 1815. Applying for the Governorship of New South Wales in 1815, upon the recommendation of the Duke of Wellington in 1812. 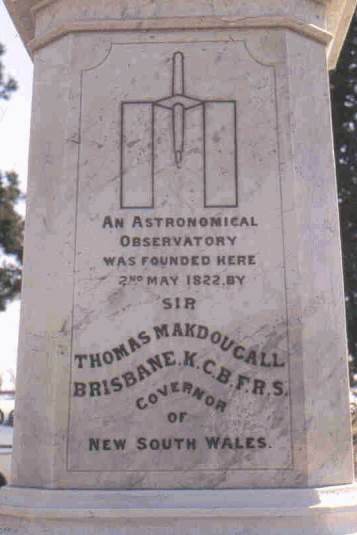 Thomas Brisbane also announced his own personal desire to establish the first free-standing observatory in Australia. A Scottish philanthropist, Brisbane was already a very keen amateur astronomer and had established his own observatory in 1808 at Ayrshire. From here he gained some academic reputation both the Royal Society and the London Astronomical Society. Having the ability of creating an observatory in Australia was likely one of his main motivations for accepting the job, as the southern skies had not been adequately explored and being open for new discoveries. After six long years of waiting, Brisbane was recommended by the Special Commissioner John Bigge (1780-1843), and given the position by the Secretary of State for War and the Colonies, Lord Henry Bathurst (1762-1834), to become the Sixth Governor of New South Wales on 1st December 1821. This he held this position between 1821 and 1825, replacing the renowned developer of the New South Wales Colony, Governor Major-General Lachlan Macquarie (1762-1824). During Brisbane’s incumbency, he soon revised the local currency, organised new expeditions into the Blue Mountains, eighty kilometres west of Sydney, and established new land grants and titles for the fast expanding Colony. He also continued Macquarie’s general aims of improving agriculture in the region. During Brisbane’s Governorship, the Colony also changed in the many ways. Prior to 1823, the British Colonies were run under the direct autocratic rules of the Governor alone, who was only directly answerable to the British Government in London. Between 1801 and 1854, the Colony was overseen by the British through the Secretary of State for War and the Colonies, who was directly responsible in ensuring stability and governance of each of the Colony. This Secretary was also the liaison between the Government and the various Governors. Henry Bathurst the started to exerted authority over Governor Brisbane, and he soon found that Bathurst often was not overly supportive of his methods of governorship. 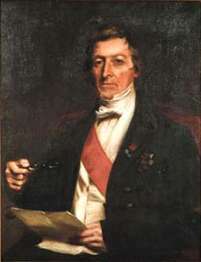 Amid some controversies near the end of his tenure, Bathurst eventually recalled Brisbane, effectively ending his association with the Colony. Yet this time in office saw during significant changes to the Colony, especially with the introduction by the British Parliament of the “New South Wales Act of 1823.” This meant that colonial justice was no longer adjudged by the near arbitrary rule of the Governor, but was instead controlled by a formal Supreme Court under the authority of the appointed Chief Justice. On the 17th May 1824, Brisbane formally announced this change to the Colony. Second part of the Act appointed the Legislative Council of New South Wales, and this gave New South Wales more far autonomy to the general running the Colony. In actuality, this did not allow any true claim by the United Kingdom to the ownership of the whole Australian continent. Such measures probably only were made during 1829, when the military base was first established on the Sydney Harbour foreshores to protect the fledging Colony from possible foreign invasions or other new claims for land. Such measures were certainly practical because of the large distances for dispatches from London to reach New South Wales. Often the round trip for correspondence could exceed eight months, and as the colonial population grew, the logistics of government, convict management and law enforcement grew significantly more difficult. At first this newly established Legislative Council comprised of five appointed members by the Governor. Its first inaugural meeting was held on 24th August 1824, and included Brisbane as the presiding chair. This was soon bolstered to seven members in 1825, then fifteen in 1829. After 1842, under the Constitution Act, this democratic body was able be far more independent in autonomy from the United Kingdom. Elections were made by two-thirds of the Council elected by the landholders and one-third by the incumbent Governor. Over the years this house of review was to change and evolve, which since 1995, is now entirely elected by the people of New South Wales. Half the seats are now voted upon once every four years. After Brisbane had departure in late-1825, this same Council in time decided to preside over the entire purchasing of the observatory and its equipment. Once this was decided, this Council could make its ruling on the general running and occupation of Parramatta Observatory itself. For what observation programmes the observatory would undertake, were decided after official referrals to the Royal Astronomical Society and the then Astronomer Royal. Prior to this, observation were at Brisbane’s own personal whims and digressions. In Australia, Thomas Brisbane name is remembered for the place known as Brisbane Waters, which are shallow waterways around Gosford, Ettalong and Woy Woy some fifty kilometres north of Sydney. Also the Queensland main capital city of Brisbane and the Brisbane River were named for him; placed about thousand kilometres north of Sydney in now south-eastern Queensland. Again in 1983, when the Sir Thomas Brisbane Planetarium was also opened in Brisbane. Later place names where nominated by Lieutenant John Oxley, was sent during 1823 to found a new penal colony to hold dangerous, troublesome or truly violent criminal convicts. Oxley soon discovered the winding river flowing into Moreton Bay, but first founded the site Redcliff 28 km. north of Brisbane, before it was moved in 1825 to North Quay with Brisbane city. By 1824 this new northern colony was officially established, which at that time was still within New South Wales — as claimed for Great Britain by the then Lt. James Cook in 1770. After Brisbane’ Governorship in New South Wales had lapsed, he was to briefly visit this new site in 1826 before his return to Scotland. Later in 1841, he achieved the higher rank of General. His highest academic position achieved was becoming President of the Royal Society in Edinburgh during 1832. Brisbane later died at Largs in Scotland reaching the age eighty-six on 27th January 1860. Originally, Parramatta Observatory was not a Government funded institution, and was not subject to decisions made by the British Parliament or by the appointed Astronomer Royal. [At the time being John Pond (1767-1838)] This was Sir Thomas Brisbane’s own private property financed completely out of his own pocket, and he also paid for the construction and maintenance of the observatory structure, including its instruments, clocks and personal library. The observatory itself was conveniently located in what is now eighty-five hectare the National Heritage listed Parramatta Park, being mainly chosen for its close proximity to Old Government House. Old Government itself House lies in the southeastern portion of the Park, being built by convict labour in 1799 under the 2nd Governor of New South Wales, John Hunter (1737-1821). It was first occupied in September 1800 by 3rd Governor of New South Capt. Philip Gidley King (1758-1808). Both the building and grounds were later extended in 1813 by Governor Lachlan Macquarie, and was made in the old style of Georgian Palladian. We have reasonably assumed that Brisbane did this so he could make some of his own visual observations, and still fulfil his principle duties for the Colony of New South Wales. At first Governor Brisbane found this arrangement was quite suitable. However, soon his work in the Colony took much of his time, especially as he was regularly expected to be in Sydney to officiate colonial business. His own observations were gradual diminished to a stop. Brisbane employed two astronomical assistants himself, being the mechanically competent James Dunlop and the trained astronomer Charles Rümker. James Dunlop was born on 31st October 1793 at Dalry (near Glasgow) in Scotland, while Christian Carl Ludwig Charles Rümker was born on the 18th May, 1788 in Stargard, Mecklenburg, Germany. 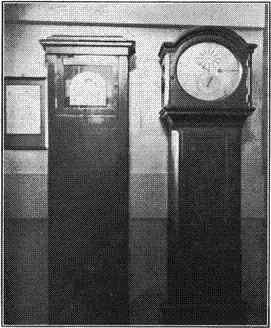 Two useful pendulum clocks were also provided to do the necessary accurate timing to do the astrometry. The first main clock (Fig. 2. Left) was made by the Parisian horologist (clockmaker) of some renown and reputation, Abraham Louis Breguet et Fils (1794-1823). This particular clock (Fig. 2. right was the main sidereal clock. Both of these are now housed at Sydney Observatory in the main general exhibition. Although they are still functioning, they remain fairly inaccurate. All observers during the time of Parramatta Observatory had to constantly calibrated for the local time and the local sidereal time through astronomical observations made by the transit telescope. Furthermore, this result was used to set various watches and clocks held throughout the entire Colony. Completed in March 1822, this simply structured building was made of wood and canvas, centred around two metre high sandstone piers, being. One of the only known plans of the Observatory exists in the main star catalogue, and was drawn by the Rev. W.B. Clarke in 1825. (Figs. 4, 5 & 6. See Below) It is notably important that most still consider that Parramatta Observatory probably did not look like this at all, and that all the elaborate drawings were just to make the site better than it was. They distinctly portray a much more substantial structure. If this were true, the building would have faired significantly better in the decades that followed. Nominated only as some temporary structure, as stated in the beginning of the Paramatta Star Catalogue (1835), its really construction seems merely only best guess. It remains truly shameful that no useful historical drawings have been passed down to the present day. Quickly, Parramatta Observatory established an extensive and useful astronomical observing program. The primary undertaking was to produce a useable catalogue of star positions in the southern skies below the declination of −30° using the dedicated mural circle, meridian telescope, and transit telescope. Within four years (1825) the places of 7385 stars had been determined — the basis of which became known as the abbreviated name of the “Paramatta Catalogue of 7385 Stars” or (PSC). This major astronomical work, produced at Parramatta Observatory, was the second substantial star catalogue of the southern skies, following only by the merely adequate South African Lacaillé Catalogue of 1752-53. In March 1822 they started the arduous task, ending with the initial reduced manuscript completed by March 1826. For these efforts Brisbane was rewarded formally by the Royal Astronomical Society in 1828 with their prodigious Gold Medal. Later, William Richardson of the Greenwich Observatory further reduced the catalogue in 1830, to be finally published in 1835. Brisbane’s own choice of the observing site proved to be a poor one from the start. Although in the beginning at least the skies were often both clear and dark, however by 1838, Parramatta grew to be a significant township whose population had grown to more than 6,000 people. This encroachment apparently eventually caused some problems with smoke from home fires during night, and as the observatory was low, likely made observations to slowly become less than ideal. Dunlop and Rümker did the bulk of the star catalogue observations, but also discovered new celestial objects unbeknown at that time. Dunlop was to see out the whole star catalogue project, but in June 1823 Rümker, after his serious and unresolvable dispute with both Brisbane and Dunlop. He then left Brisbane’s employment to his own farm at Reservoir Hill in Picton, N.S.W. The main reason of contention seems to be that Rümker had better qualifications than Dunlop, and this caused much friction between them, especially seeking observational credit. This lead to irreconcilable differences.) During this time Rümker’s reputation was as the first person to rediscover the periodic Encke’s Comet on its first return in 1822. Away from Parramatta during 1824, he discovered his own first bright comet. Under some duress, between May 1826 to October 1829, Charles Rümker was to return to Parramatta as its Government Astronomer. His appointment was mostly due to Brisbane’s forced ending his Governorship in late 1824, whereas he immediately prepared to return to Scotland. He remained Governor until he relinquished the office to Governor Ralph Darling (1772-1858) on 1st December 1825. Brisbane sold the private observatory in the same month, under much of his own direct insistence to London, to the New South Wales government for £1 614 13 shillings. Final payment remained in dispute for several more years. Here Rümker pursed new observations of comets, transits observations and double stars. Of the double stars he found twenty-six in total, of which only twenty are recognised today.) Pairs are now designated Rmk or RMK. Most of these pairs were discovered in the survey of bright stars for the transit programme. For the amateur astronomer, most of the pairs he discovered are rather attractive and easily seen in small or moderate telescope. Rümker was eventually rewarded in 1854 with the Gold Medal of the Royal Astronomical Society. In retrospect, Rümker’s overall astronomical observations proved far more significant than the works of Dunlop. He went on to do much bigger and better things, including becoming the prominent and celebrated figure in Germany. Furthermore he had the background education and the abilities of an astronomer where Dunlop was essentially the amateur who did his best under the circumstances. Regardless, due to these high and favoured accolades, Rümker suffered some personal hostility from both Brisbane and Dunlop, even after his return to Europe in November 1830. He played no further role in southern observations. Later he became a lecturer on Navigation between 1831 and 1857, and then the director of the Hamburg Observatory in Germany between 1833 and 1857. Charles Rümker died in Lisbon, Portugal on 21st December 1862. James Dunlop was to be involved with Parramatta Observatory much longer. He is now more recognised for the discovered many the brighter southern double stars and southern deep-sky objects, most during the observations for the Parramatta Catalogue. They are today now designated Δ or DUN. From March 1826, after leaving Parramatta Observatory, started his own observations of the heavens from the backyard of his home in Hunter Street, near St. John’s Church, in Parramatta. Dunlop constructed his own 9-foot reflecting telescope with 9-inches in aperture, (2.7 metre [f/11.8], 22.8cm.) This is possibly the first reflecting telescope made within Australia, though nothing has ever been found, and it is assumed that it returned to Scotland at one time. This metal speculum mirror produced the images were not as good as Dunlop had stated. John Herschel’s later observational statements, while he was searching for Dunlop’s nebulae, indicate that it suffered from stray light, producing ghostly images and identification of many nonexistent nebulae. By the end of 1826, Dunlop had discovered and catalogued 629 nebulae and star clusters, which was published in the Royal Society’s “Philosophical Transactions.” For this work he was jointly awarded, along with Sir Thomas Brisbane, the prestigious Gold Medal of the Royal Astronomical Society in February 1828. Within this time Dunlop also searched for new double stars, mainly during poor seeing conditions or moonlight, listing 254 in total. Being good with his hands he constructed many instruments of his own, including a simple filar micrometer, ring micrometer and double image micrometer. Coupled with the 3¾80mm. equatorial Troughton refractor (Fig. 2), he then measured 119 pairs that he considered to be physically associated or important. This paper was later read in May 1828 under the auspices and support the Royal Astronomical Society and Sir John Herschel. Of these, many of the most prominent pairs are now frequently observed by amateurs. His southern observational work is thought to have been completed around 1827 when he returned disappointed to Great Britain, knowing that Rümker was unlikely to give up his position. However, this did not end his association with Parramatta Observatory. Dunlop was requested to return to Parramatta Observatory as the Superintendent (Government Astronomer) in November 1830, after Rümker’s second and final resignation. Dunlop observatory returned on 7th November 1831, almost exactly ten years to the day of his first departure to Australia with Brisbane. However, the dilapidated state observatory made him personally undertake some necessary repairs to make it again a useful and functional. In 1832, the residence was built about ten metres from the Observatory which Dunlop occupied until he resigned. This building was substantially refurbished at Government expense. Although Dunlop discovered two comets in 1833 and 1834, he is mainly recognised for his work in planetary astronomy, particularly asteroids and comets, and his transit and mural circle observations. Many of the latter observations were made between 1832 and 1835, by were unfortunately never reduced. His astronomical career was practically ended by 1839, due to illness, but he is known to have had health problems like debilitating tetanus as early as 1835. Time spent in his final halcyon days was mainly in effect generally reducing his visual observations. In these years, Dunlop produced twelve separate publications, including stellar positions and the brightness estimations of nearly 400 southern stars. None was astronomically significant. The observatory had stood only for twenty-six years! Dunlop died one year later on 22nd September 1848 in the town of Boora Boora, near Gosford and Kincumber on the New South Wales Central Coast. The place where his retirement house stands is now called Dunlop Hill. He was buried besides his wife in Kincumber. His original grave stone is now close to the front door of the local church. The last known recorded observation at Parramatta was made on the 19th March, 1847. By the 23rd August 1847, Gordon and Rodgers recommended that the instruments and books be packed into boxes, and placed into the hands Rodgers of the Ordinance Store. After some debate about the contents future, the equipment in 1858 was eventually passed on to Sydney Observatory. A suitable display in the lower sections of the observatory has presently some of these Parramatta Observatory equipment in temporary display. Today this can be seen as displays at Sydney Onservatory, so you can see them for yourself. After Dunlop resigned, the residence remained unoccupied. It stood until 1879, until demolished down to its foundations by the then Parramatta Park Ranger, George James Giles. Most of the observatory superstructure was also taken down. As for the rest of the site, the majority of the observatory foundations were extracted in 1887, only leaving the transit telescope piers as its memorial. 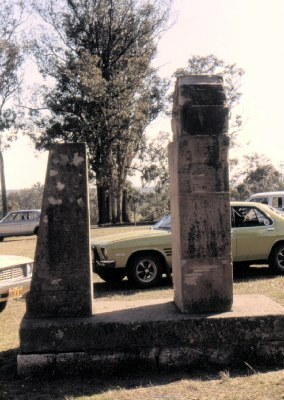 This was also done by the superintendent of Parramatta Park, and the rests is the same today. By Sir Thomas Makdougall Brisbane K.C.B.F.R.S. Governor of New South Wales”. 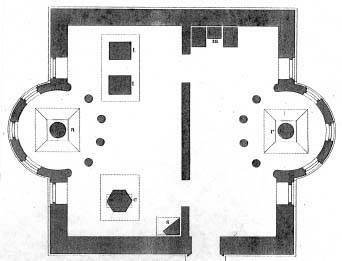 However, the kitchen of the residence was wrongly identified as the observatory. For less than ten metres from the location are the unmistakable transit telescope piers! Now two signs at the site now correct this plain error — now for all to see. 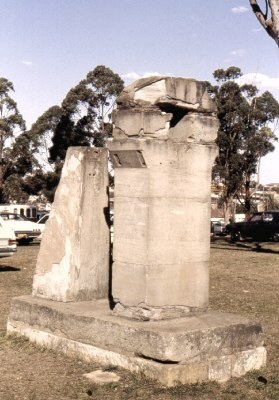 This obelisk and observatory transit piers are the only evidence remaining at the site. Fortunately, a newer sign now correctly marks the Paramatta Observatory location. The development of Parramatta Observatory was an important milestone in the history of the colony and Australia. It was at the time when the population started to think it self more Australian rather than some one time British imperial Colony. In the years after the demise of the Observatory, Australia started to develop its own slightly different culture. By the beginning of 1850, New South Wales was producing its own ‘natural philosophers’ (that we today call scientists) and University graduates. Eventually we had our own Sydney Observatory in 1858. Astronomy is still prominent today, with our radio and optical observatories still discovering and measuring celestial objects. It is humbling to think that on this site was the beginning of observational and positional astronomy in this country. The transit telescope is an established instrument, but in it days of its use it was also known as the universal instrument. 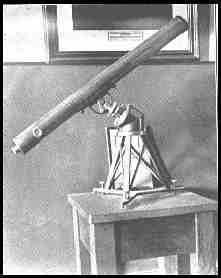 One of the first transit telescope was established as the primary instrument somewhere between 1760 and 1780. Its astronomical use is based on the determination of the time when some star crosses the local meridian, being the imaginary line at the place of observation that divides the eastern and western portions of the sky. When accurately determined, for which the transit telescope is most renown, is the place that technically marks local sidereal time, but more importantly the actual apparent time for that particular longitude. These precise graduated circles also give the altitude of the star from the meridian from zenith, or from the northern and southern horizons. Based on these two values, the precise longitude of the location can be readily calculated. Longitude on the surface of the Earth is measured from the some agreed international standard position of the transit telescope at Greenwich Observatory in England. This particular instrument marks the internationally agreed zero longitude of the world. Once the position and time of the transit has been substantiated, this fixed position can be used to then measure the accurate position of all the stars, and over time, even the proper motions of the stars in question. Although the idea is simple to explain, usage of transit telescopes are by no means explained simply in exactly how results are obtained. The regimes of mathematical calculations and of error reductions are too broad based for our general discussion. In the years after 1836, Parramatta Observatory mostly fell into disuse. Some transit observations progressed in Sydney only sporadically — determining local time by measuring local sidereal time from transits. Stellar positioning was to only re-emerged during the mid-1850s. Here the old Parramatta Observatory meridian telescope was set for a short comeback. 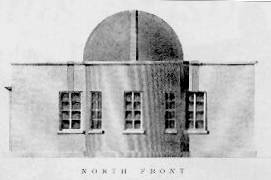 When news of the constructed new Sydney Observatory was announced, George Airy, the Royal Astronomer, became involved. Being highly interested and motivated very much by astrometry, he requested transit instrument was sent back to England for repairs in early 1857, and returned in late in 1858. Earlier when Reverend William Scott had arrived in 1856, he was selected by Airy, who he began observations almost immediately after Sydney Observatory was completed; observations starting on 5th December 1858. Bhatha, R., “Some Scientific Aspects of Parramatta Observatory”, J.Proc.Roy.Soc.NSW., 145, [No.445 & 446], 111 (2012); Paper at Symposium — Commemorating Governor Sir Thomas Brisbane, National Trust, Observatory Hill, 1 December 2011.